Over one-third of US adults are obese. Not only are the costs of obesity high—accounting for an estimated medical cost in 2008 of US$147 billion—but obesity has been shown to contribute to: heart disease, stroke, Type 2 diabetes, and some cancers. The good news is that hypnosis can help! A large meta-analysis from 1996 found that clients who were receiving cognitive-behavioral therapy (CBT) (psychotherapy) and who were taught to use self-hypnosis to support their weight loss efforts, lost twice as much weight as those clients who did not use hypnosis along with their CBT treatments. Furthermore, the authors report that “the benefits of hypnosis increased substantially over time,” indicating a positive, cumulative effect. Not only do I offer traditional weight loss hypnosis, but I am also trained in Sheila Granger’s Virtual Gastric Band Program. The Virtual Gastric Band Program is not a diet program, but rather a process to change how you think about and relate to food. You will be able to eat what you want, becoming satisfied on smaller amounts of food. The aim of the program is to imagine and believe that a gastric band has been placed around your stomach, decreasing food intake, while learning to focus on your body’s natural hunger signals—leading to eating habits that are more intuitive. The Virtual Gastric Band Program was found to be 95% successful in a recent clinical study, with an average weight loss per client of 24.64 pounds. The protocol involves four hypnosis sessions, and includes an hypnotic audio track to support you at home. This one’s personal. Because I am overweight myself, I have recently embarked upon using the Virtual Gastric Band Program myself. 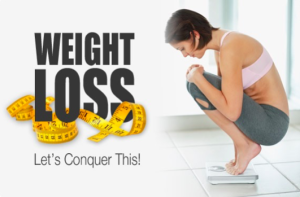 Come join me in losing excess weight, feeling better in your body, and achieving your ideal shape and size. Centers for Disease Control and Prevention. “Adult Obesity Facts.” Accessed 02/12/16: http://www.cdc.gov/obesity/data/adult.html. Granger, Sheila. “Can Hypnotherapy Provide A Solution To Obesity? A Research report considering why, if and how The Virtual Gastric Band Programme can be an effective aid.” April 14, 2014. Copyright © 2019 Well Awakened Living.